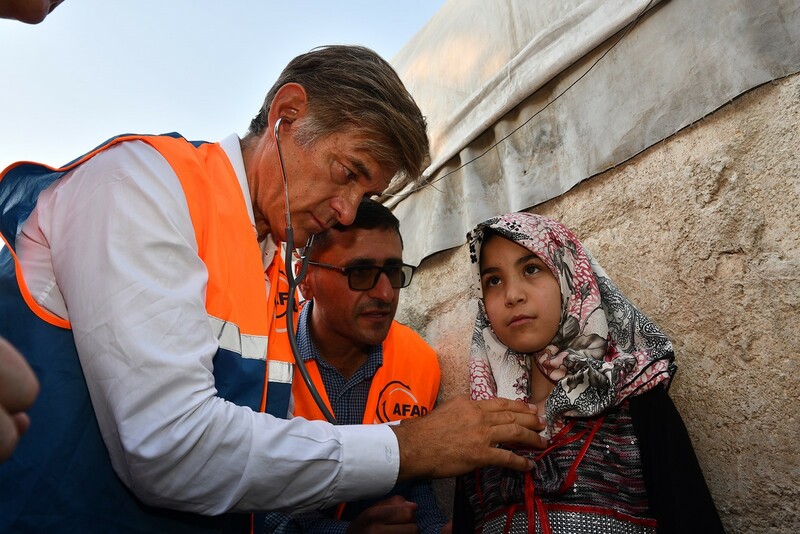 Turkish cardiothoracic surgeon and TV personality Dr. Mehmet Öz, better known as Dr. Oz, recently visited Syria's northwestern Azaz region to examine children who have been injured during the heavy bombing orchestrated by the Syrian government. 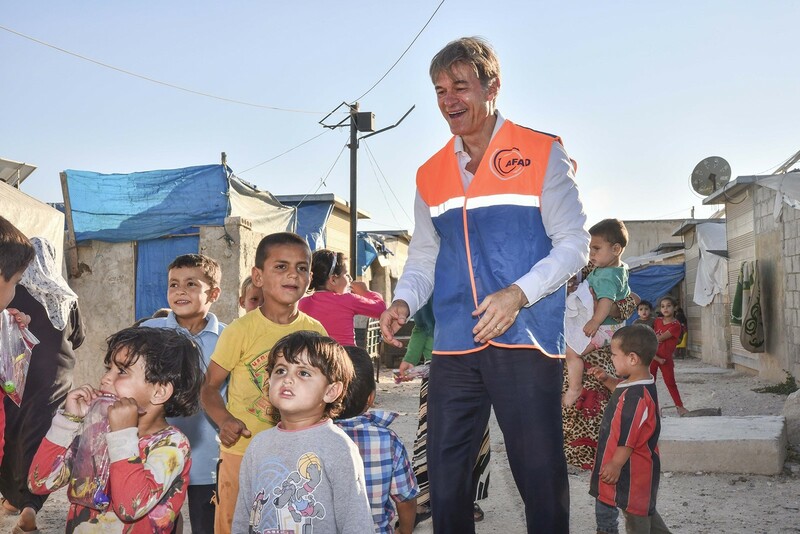 Öz arrived at Turkey's Öncüpınar Custom's Gate on the border with Syria on Sunday along with Dr. Halit Yerebakan as a part of the program carried out by the Prime Ministry's Disaster and Emergency Management Authority (AFAD). Crossing the border to Azaz, liberated from Daesh by the Turkish Armed Forces' (TSK) Operation Euphrates Shield, Oz first visited schools and hospitals built for Syrians by the Turkish government. 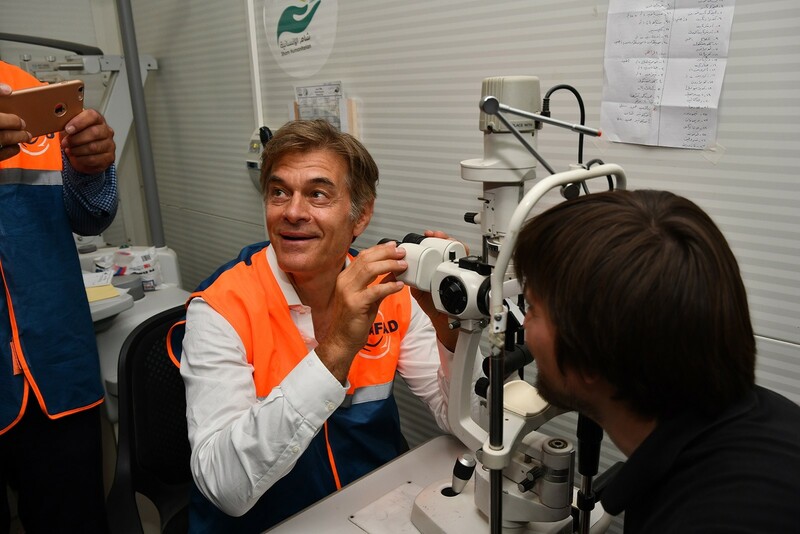 Öz also examined the equipment and verified it was working properly. 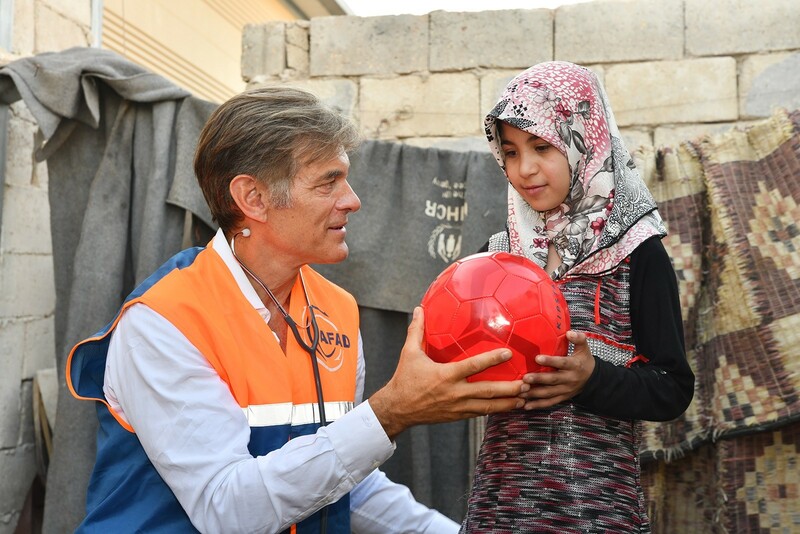 During his visit, the cardiac surgeon also examined a 13-year-old boy named Musenna Asi who suffered injuries after his house in Deir el-Zour was bombed. After a thorough examination and learning more about his previous treatments, Öz consulted his team of doctors and decided to provide cosmetic surgery for Asi. 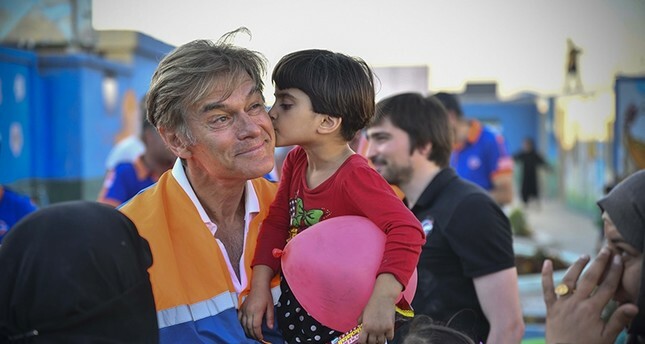 While paying visits to the nearby houses, Öz and Yerebakan met the Yasi Family whose daughter Zeynep has a hole in her heart. "If Zeynep had been treated years ago, she would be better by now," Yerebakan told Daily Sabah. "She was supposed to get treatment but could not when the war broke out. We will bring her to Turkey with the help of the AFAD and Dr. Öz, and I will closely monitor her treatment," said Yerebakan. 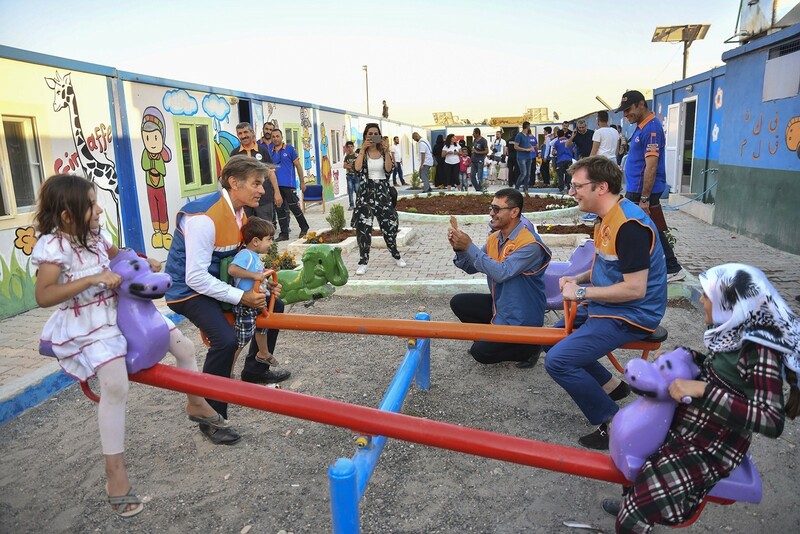 "There are thousands of children here," Dr. Öz said, adding: "Adults are trying to move on with their lives but if we do not help Syria, we will suffer the consequences. These children may become doctors, lawyers in the future or may become people that we do not want them to be. We must help them." He also said Turkey is the only solution for the injured children to survive. 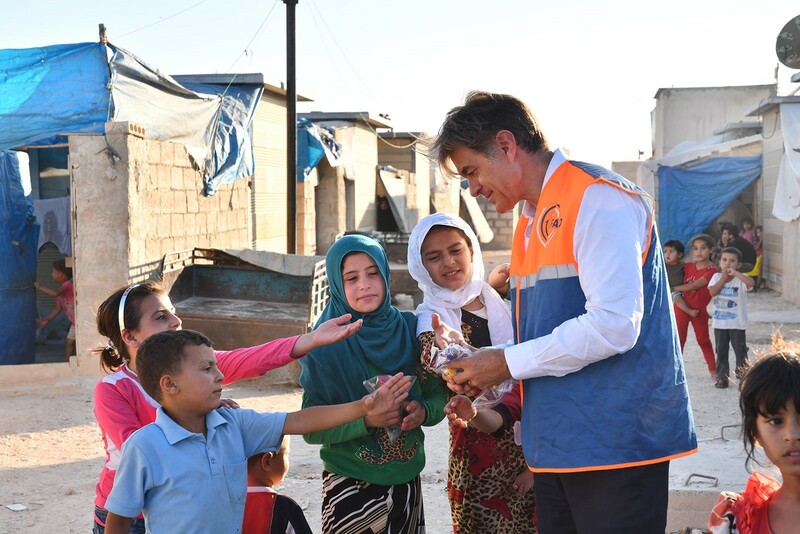 "There are thousands of children who need help in Syria," said Yerebakan, adding: "After crossing the border, it seems like you go back in time 30 years. It's still possible to see the destruction caused by the war. We must help Syria. We simply cannot abandon them to their fates." Öz noted that efforts for refugees are of crucial importance. "War is upsetting but if we lose the generation after the war, that would be our mistake. There are 3.5 million refugees right now. If we educate them, they might be world leaders, but if we don't, they might end up as terrorists," he said. He added that some countries do not keep their word on refugees. "I urge everyone who hears my voice to think for two minutes of 'what I can do.' It can be something small, but we should do something. Send a letter, send a football, send a small note. Launch a campaign over social media. Small help sometimes can give great happiness. Think about Syria for two minutes," Öz said. Held by the Syrian opposition since July 2012 and briefly by the Daesh terrorist group in 2013, Azaz came under direct Turkish control with the Operation Euphrates Shield launched in August 2016 to clear Daesh from northern Syrian towns bordering Turkey. Named one of Time magazine's "100 Most Influential People," Dr. Mehmet Öz of Columbia University is the winner of six daytime Emmys for "The Dr. Oz Show," the author of six New York Times best-sellers, and a well-known public figure and TV personality in the U.S. After making his debut on TV with the daytime program "The Oprah Winfrey Show," Öz later started hosting his own show, becoming one of the most widely followed doctors in the U.S.